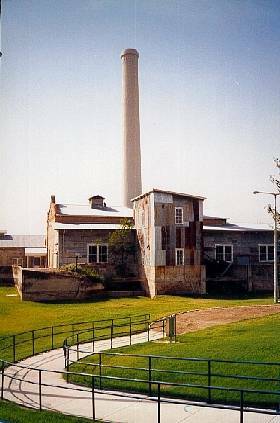 Old Hidalgo Pumping Station, Hidalgo Texas. The semi-arid Lower Rio Grande Valley was productive only for cattle grazing until several steam-powered irrigation systems were established in the early 20th century. In 1909, a steam pump was built here to channel Rio Grande water to about 40,000 acres of land. 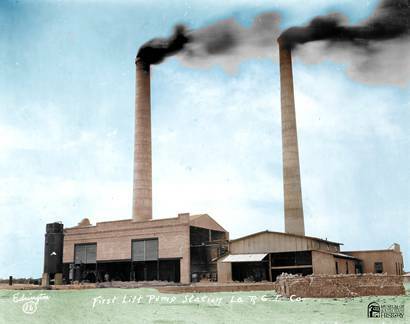 The Louisiana-Rio Grande Canal Company installed additional equipment in 1911-12 to increase production to the Pharr-San Juan-Alamo area. 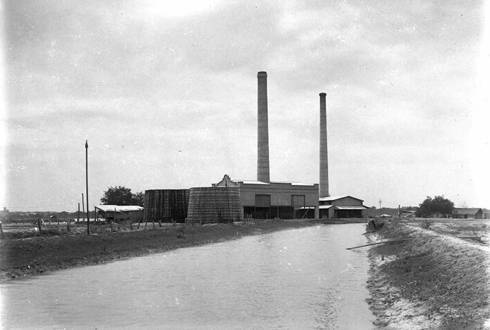 Sold to the Hidalgo County Water Improvement District in 1920, the pump plant continued in operation until 1983, when an all-electric plant opened downstream.